Almost every day, I spend a couple of minutes tracking down my keys. But that's a lot less time than it used to take when I didn't have a tracker attached to them. Last week, Tile gave me a sample of their Tile Pro Style ($35) to test out. The new model is a little bigger than the Tile Mate ($25) — 37 by 37 by 5.9mm versus 34 by 34 by 4.65mm — but delivers twice the range, is twice as loud and is waterproof. And, the Pro Style still has a full year of battery life. The Pro Sport is a little larger (40 by 40 by 5.9mm) and built to withstand the abuse of being attached to the outside of your child's backpack. 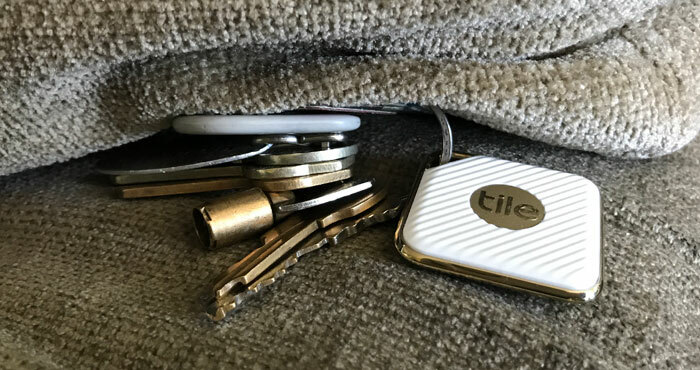 Tile products pair with your smartphone over Bluetooth LE and when you open the Tile app, you can ring any Tile device that's in range. The Tile Pro models achieve an extended range by taking advantage of options in the Bluetooth LE protocol to transmit at a higher rate. So now you can be up to 200 feet away from your Tile. With the additional range, Tile increased the volume of the speaker to 98 decibels from 88 decibels. The app also lets you adjust the volume of the Tile. So if you're looking for your keys before your family gets up in the morning, you can do so without waking the entire household. And since you can choose to lower the volume, there's now a visual indicator to show you if you're getting closer to the Tile-tagged device (see below). 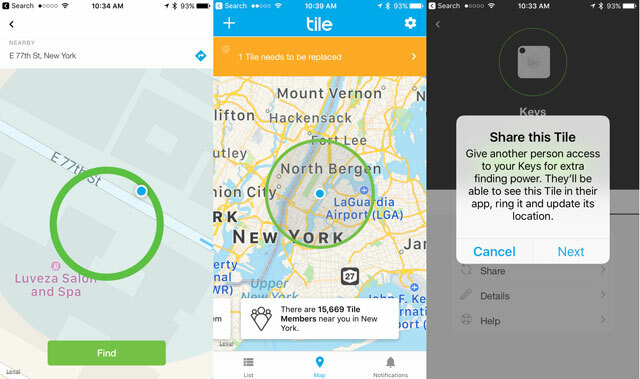 If you leave your Tile-tagged device somewhere that's out of range of your phone, you can choose to view its last known location. That's the place your smartphone was last in contact with your Tile. Your Tile will also communicate with other Tile users' smartphones, anonymously in the background. So if another Tile user passes by your Tile-tagged device, you'll get an update on where it is. So if your Tile-tagged device moves, you'll be able to see its new location. Most major metropolitan areas have some coverage (There are more than 15,000 users near me in New York City). 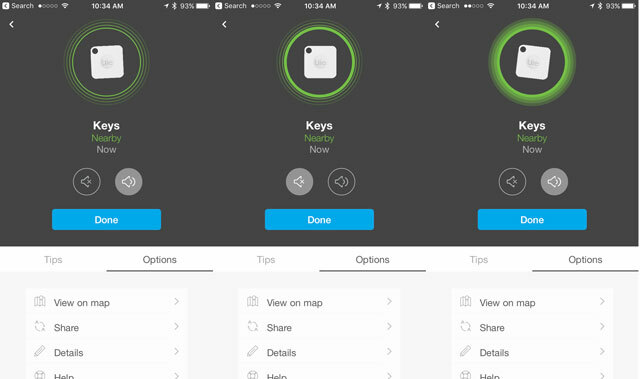 You can also share your Tile with a family member, so they can help you track down your devices. Another useful upgrade in Tile Pro is water resistance. With a rating of IP68, your keys can be submerged in water up to 1.5 meters deep for up to an hour. The Tile Pro Style and Pro Sport cost $35. They'll need to be replaced in a year, but Tile is offering a discount to repeat customers. Currently, you can get the Pro Style and Pro Sport for $25, if you're replacing an existing Tile product.